Many students take foreign language classes to satisfy their requirements to graduate, but that isn’t the only benefit. Being fluent in more than one language can substantially put students ahead of others in a variety of circumstances. Currently sophomore Kultumi Conteh is taking Spanish 4. While taking this class, she noticed there are benefits of learning a second language . By speaking another language there is a pathway to obtain more jobs. Students are exposed to better job opportunities. “I can now understand certain phrases when surrounded around other Spanish speakers,” said Conteh. Not only does she believe that speaking another foreign language gives you the benefit of more job opportunities but it improves her communication skills. “Not only as a career but also in traveling. I have been able to travel all around and not worry about not having to speak that language,” said Ms.Robertson, a Parkdale Spanish teacher. Besides giving her the skill set to be a language teacher, knowing a foreign language has given Mrs. Robertson the chance to travel around the world and communicate without a translator. 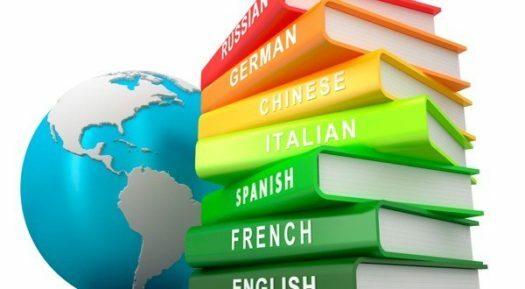 According to a research conducted by Eton Institute, other benefits of learning a foreign language include: boosted brain power, improved memory, enhanced ability to multitask, sharpens the mind, improvement of the primary language and performance in other academic areas, and increased networking skills. Additionally, there are many jobs where speaking another foreign language is beneficial, including diplomatic positions, health care, hospitality, education, customer service, law enforcement, finance and communication.